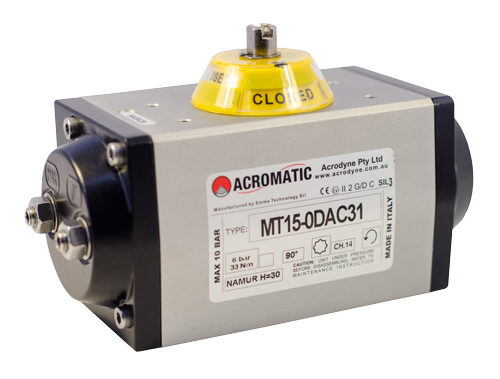 Manufacturer: Limitorque Group: Pneumatic Actuator The Limitorque Pneumatic Compact (LPC) Scotch Yoke is a robust yet lightweight, modular, pneumatic, piston-type actuator design, with nodular cast iron housing and carbon steel ENP cylinders that is exclusively distributed to both Australia and New Zealand by Acrodyne. Manufacturer: Limitorque Group: Pneumatic Actuator The Limitorque Pneumatic Scotch Yoke (LPS) Heavy-Duty Actuator, supplied to Australia and New Zealnd by Acrodyne, is designed to meet the industry’s most recent and stringent safety and performance standards for oil and gas applications. 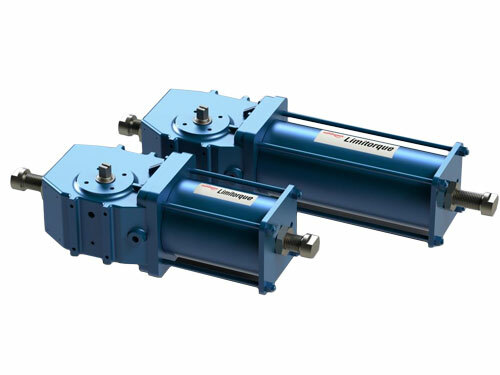 Manufacturer: Camtorc Group: Pneumatic Actuator The Camtorc S Type range of pneumatic actuators provides highly reliable, hydraulic or pneumatic actuation, which is available at Acrodyne, for rotary valves and dampers. 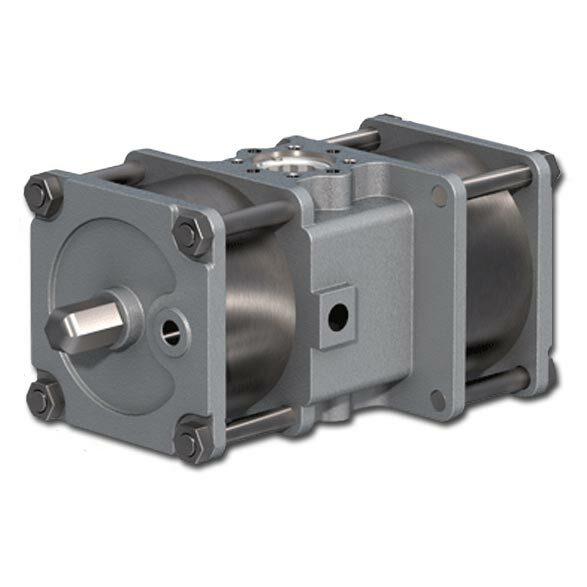 The patented design utilises a profiled cam that ensures a constant torque is generated throughout the entire stroke of the pneumatic actuator. 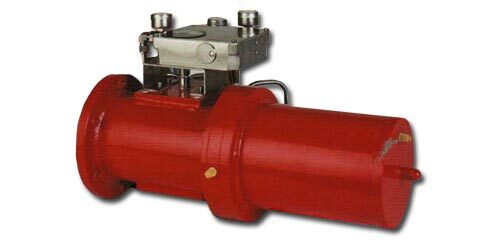 Manufacturer: QTRCO Group: Pneumatic Actuator QTRCO manufactures Patented, Long Life, Low Maintenance 1/4 Turn Rack & Gear Actuators for control of valves, dampers and machinery which are available at Acrodyne.